Color Dunes is synonymous with style, usability, quality and simplicity, but with a panache for colors! Colors that breathe the essence of contemporary lifestyle and expression in the simplest of patterns. Colors that naturally express instinct, mood and vivacity, to emphasize your desire to be perceived as yourself in every walk of your life. At Color Dunes, we care intensely about the quality of our products. We source our materials from quality conscious and responsible manufacturers, and finished product undergo thorough checks before being shipped to you. We hope you enjoy every product you purchase from us and look forward to hearing of your experiences. Our embroidered messenger bag is made to hold it all and keep you in style. It’s beautiful embroidery in timeless Suzani design is well crafted - Making it an artisanal accent. Straps and trims in faux suede in contrasting color gives it an updated look for any season. This bag has an adjustable strap for shoulder or cross body wear. This product is a part of our collection called "kashidakari" - KASHIDAKARI means “embellishment on fabric” in Persian language. This art of needlework prospered in India for centuries, as it was passed down, nurtured and honed by countless generations of artists. I just love cute and colorful bags, they are a must have accessory for me, the more colorful the better. Why have a boring bag, that you will never use? Whey not get a bright fun bag for your summertime travels. I am a big proponent of the cross body bags when I travel and this grey Embroidered Messenger Bag from Color Dunes is a great cross body bag. I am always on the go, and I want to make sure my bag is secure and less likely to be snatched… Unfortunately living the city life this is a real possibility, so I want to make sure I am safe and my bag is safe. The Embroidered Messenger Bag is so intricate and lovely and is dressy yet casual. 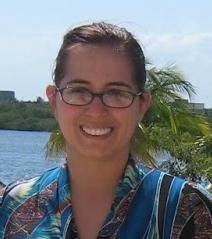 This bag will make a great carryon bag for my upcoming trip to Kissimmee. I will be able to pack all of my essentials in this handy bag, from magazines, to snacks, my tickets and more. I love the grey bag with the orange straps, the colors really pop. The inside of the bag is a nice size, with a nice pocket. The embroidery is well done, and really giveaway this bag an extra special look. This is a high quality bag that is quickly becoming one of my favorites. 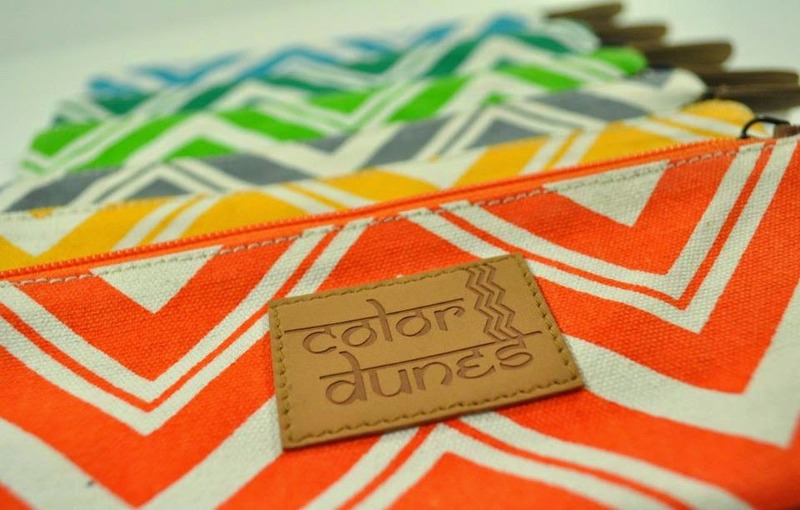 So if you are looking for a great bag for the summer I would highly suggest checking out Color Dunes, you will surely find a unique colorful bag that will be a great addition to your summer wardrobe. 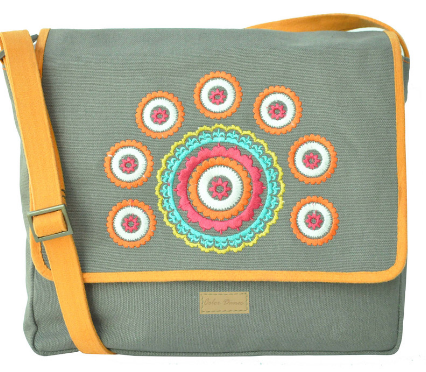 The Embroidered Messenger Bag from Color Dunes comes in some amazing colors including aqua, navy, grey and lime! The generous folks at Color Dunes, are giving one of Susan’s Disney family readers a chance to win and Embroidered Messenger Bag in Gray from Color Dunes! Would you like to win? Please check out the Color Dunes website, take a look around then come back here and tell me what bag is your favorite? There are also other ways to enter, please enter below. 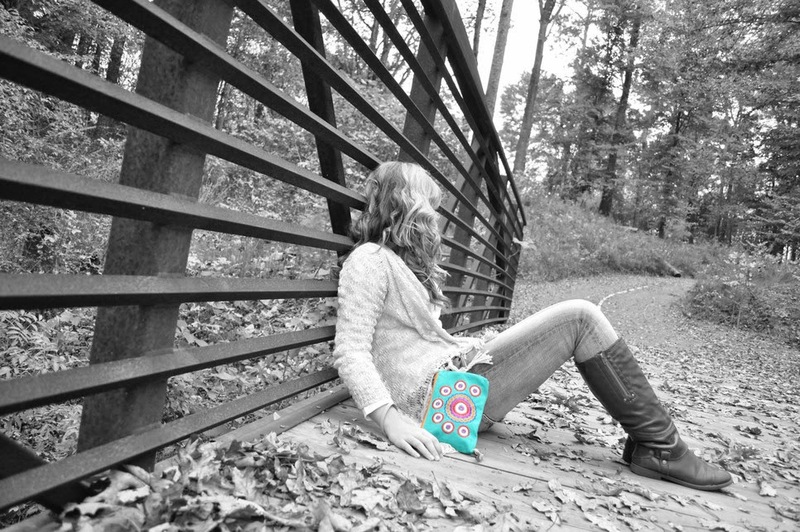 Be sure to stay social with Color Dunes and follow them on Facebook. You can purchase any of the bags shown here and much more on the Color Dunes website. email info@colordunes.com if you have any questions about pricing. I love the Banjara Beach Tote Bag in Mint!! So pretty! Loving their stuff! Banjara Pencil & Brush Pouch, Gray. I like the gray bag featured. Another bag I love is the Zippered Tote Bag - Lime Green in order to keep my things from falling out. I really like the designed on the purses. I like the Banjara Zippered Tote, Orange. Thanks for the chance to win! I like the Anchor Rope Tote in pink. It would really be nice for hauling all my stuff to the beach. I like the zippered tote in aqua. I love every single one. I can't believe I haven't seen these before. They are absolutely gorgeous! 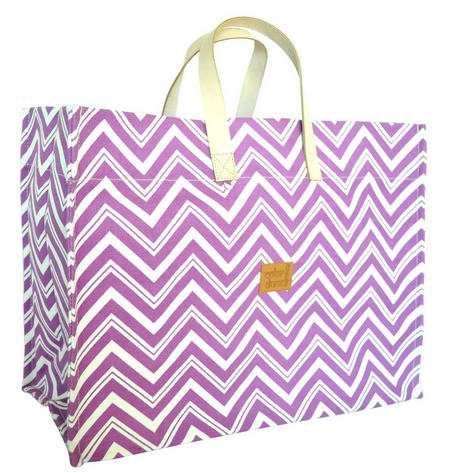 I love the chevron super tote bag. I could use it for so many things. I like the Classic Charm - Super Tote, Aqua . 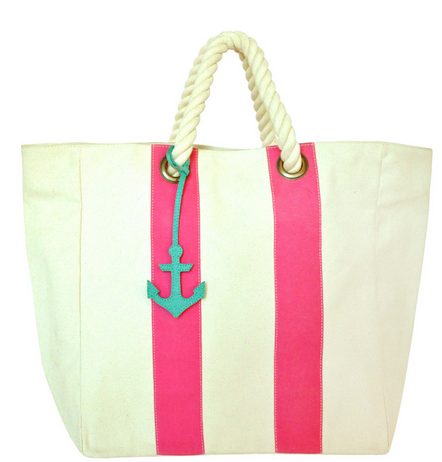 I like the Anchor Rope Tote Bag in Pink. I like the embroidered messenger bag in grey. Thank you all for such wonderful comments! We are glad you like our products. We are offering 40% discount for this week. Please write to us at info@colordunes.com to get more information. Have a Colorful Shopping! I liked the cross-body embroidered bag in lime or aqua. 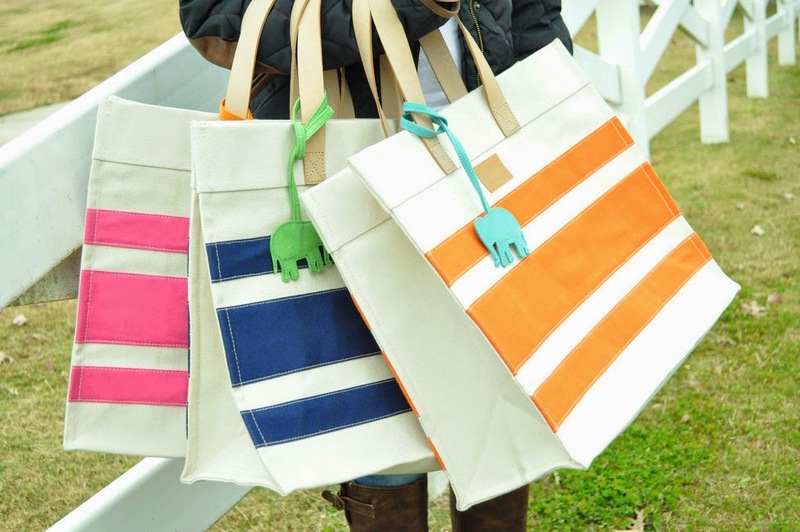 I like the anchor rope tote bag. I would choose the grey messenger bag. The Dark Blue embroidered crossbody bag!!! I love the Chevron Zippered Picnic Tote Bag in Aqua Blue. I love the grey pattern and another item I really like from ColorDunes is their Embroidered 2 pocket Super Cosmetic Pouch. I like the Classic Charm Market Tote in Gray. There are so many beautiful bags but I think my fav is the line green picnic tote! I like the Chevron Super Tote Bag-Gray. I love the grey Embroidered Messenger Bag, it would make a great book bag.